What Causes HVAC Systems to Fail? There are some, shall we say, less than reputable companies out there that may use their blog space to make wild claims aimed at luring customers to them with promises that they simply cannot keep. You don’t get that when you read our posts, of course, which is why you will never see us claiming to have any secrets or offering any services that will keep your HVAC system running indefinitely. Yes, with our professional installations and exceptional maintenance services we can keep your systems operating as reliably as possible. However, no HVAC system is going to last forever. 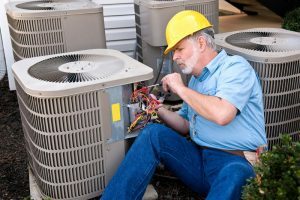 Even those systems that are well-maintained and manufactured by the best companies in the industry have finite lifespans. When it comes to HVAC replacement, we’re talking about “when,” not “if”. Working with professionals of the caliber that we have on our team will help you to get the most of your system. Eventually, though, you’ll be getting in touch with our Lexington, SC HVAC professionals to replace your system. Posted in Heating | Comments Off on What Causes HVAC Systems to Fail?